Special guest: Rex Jones has been an educator with Garden of Life for more than 8 years and brings with him a lifelong passion for the natural foods industry and a strong knowledge of herbs. For more than 13 years he worked in a natural foods retail setting as a nutrition manager and herbalist. Rex also led classes, co-hosted a radio show, managed web content and gave a variety of in-store and off-site health lectures. 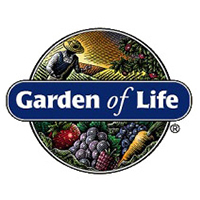 He is excited to share Garden of Life’s mission of empowering extraordinary health. Special guest: Amber Lynn Vitse, CN, is a certified nutritionist in Integrative Nutrition, and also brings her training in Ayurvedic medicine to the Garden of Life education team. She has worked in product retail for 16 years, as well as maintained her own wellness practice, working with doctors and alternative health practitioners promoting optimum health, inside and out. Amber has written educational articles for a variety of natural health publications, and she is excited to be a Regional Educator for Garden of Life and continue the mission of Empowering Extraordinary Health®. Dana Laake and her special guest David Foreman will discuss herbal tricks to suppress your appetite and cravings through the holidays and New Year. David Foreman, RPh, is a retired pharmacist, author and radio host of the syndicated show, “The Herbal Pharmacist.” He is well-versed on the healing powers of herbs, vitamins and other natural supplements. Dave is a graduate of the University of South Carolina College of Pharmacy and is author of the book, 4 Pillars of Health: Heart Disease. He has lectured at some of America’s leading universities, medical groups and hospitals on the subject of natural health and healing. Dave believes that education is the key to understanding that natural health plays a role in mainstream medicine. Host Dana Laake and her special guest Rex Jones will be discussing raw supplementation and the importance of probiotic strain diversity.